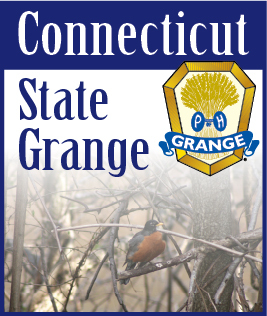 NOVEMBER 2008 -- Another record year for our Country Store in the New England Grange Building at The Big E and now we have to ask, can we do it again next year? Will we have enough items to sell? We tried to outdo ourselves from year to year and we’re lucky that our good Grange members from all the six states come through for us every time. Our Connecticut members brought in so many beautiful handmade items and also put in many hours working in the store. Thanks  to all of you! We really appreciate all you do for us. Now we have to start thinking about doing it all again for the coming year. If we start now I’m sure we can do it! Back to this year – Connecticut needlework was excellent as usual and we were proud to display all the beautiful entries. Congratulations to all the winners. For 2009, the same ten needlework classes will remain as they have been. Start thinking about what you’d like to make now so that we will have entries in all of the categories. Regional meetings are underway to let you know our program for the coming year. Our new theme for 2009 will be “You’re The Cat’s Meow” and that’s for all of our members who do so much for us throughout the year. We’re hoping to see good attendance at the Regionals so that everyone will have the information for our CWA year. You don’t have to be on CWA or be a woman to come to these meetings. Everyone is welcome. Hope to see many of you.